Big Judo starts training again in February 2014. But the big question is why do Judo? 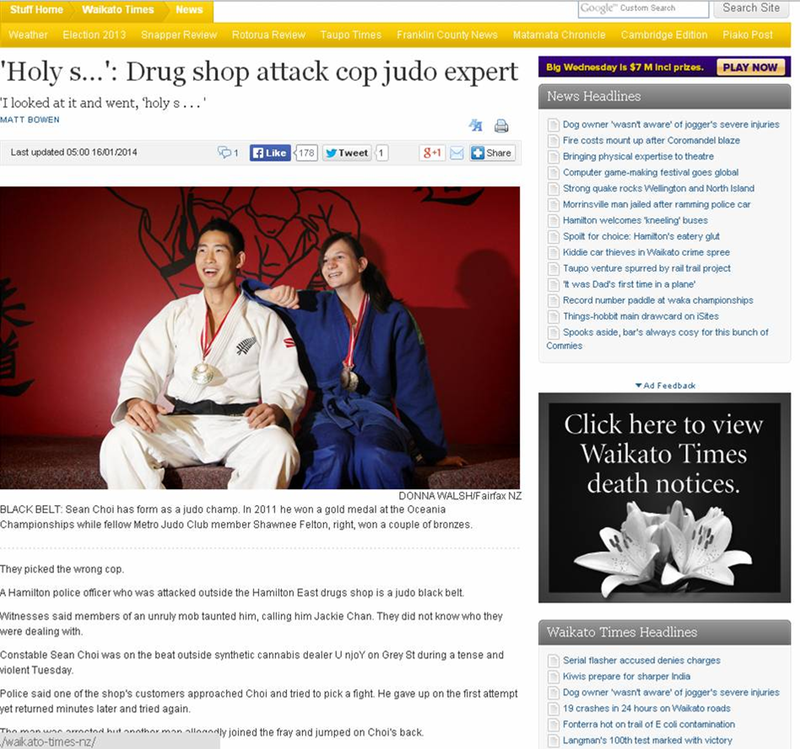 Top young Judo player Sean Choi is a Police Officer and was set upon by a gang of thugs. He fought them off by himself and locked them up. Doing Judo with Big Judo is not just fun but it also teaches you a great set of a self-defence skills. We might not make you Sean Choi (who is pretty damn good) but we will certainly teach you a set of skills that will make you more physically confident and better able to protect yourself if you are threatened.